Greyborg Build day 1-long hoses and fat cables. 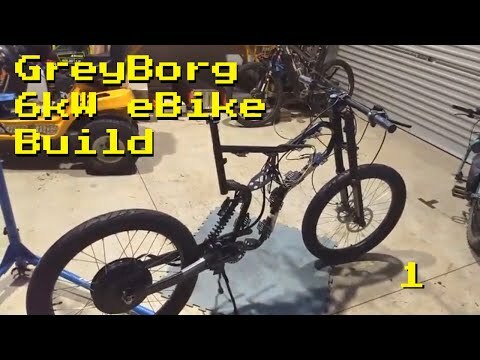 I’ve decided to build up the Bafang BBSHD beater super-eBike! Forks, swing arm, shock, front wheel all in. Front brakes are on but need their hydraulic lines shortening. The cable routing from the Cromotor needs some understanding. Big beefy cables to handle the 6kW of power and a small gap to the brake disc aren’t a good mix!